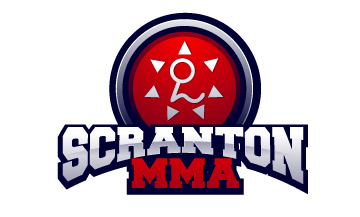 Scranton MMA would like to remind everyone that this Saturday, November 19th, 2011, all regularly scheduled classes are postponed. The reason …Jiu Jitsu lifestyle day is back at Scranton MMA! On Saturday, November 19th, head Gracie Jiu Jitsu instructor, Jeff Reese will conduct a two hour bonus workshop from noon to two. This seminar will focus on a devastating arsenal of chokes and cranks fittingly termed “The Dirty Dozen”. The “Dirty Dozen” is a series of interlocking submissions that will have your opponent reeling from start to tap! Jeff developed the “dirty dozen” during slotstatoridge his years of traveling on the road to train with some of the world”s best bjj instructors: a submission from Royce, paired with a technique from Rodrigo, added to the move learned from Rob Kahn, etc, etc …and soon the “dirty dozen” was birthed! Following the seminar, Scranton MMA will host a special screening of Ultimate Gracie, an exciting and revealing documentary about the origins and impact of Gracie Jiu Jitsu on modern martial arts. A buffet will be provided during the movie. The cost of this event is $25 and is open to all members of Scranton MMA and Keystone CrossFit.